Pondicherry, fondly called Pondi, the once glorious French colony of India, still remains and emits its own share of its glorious past. 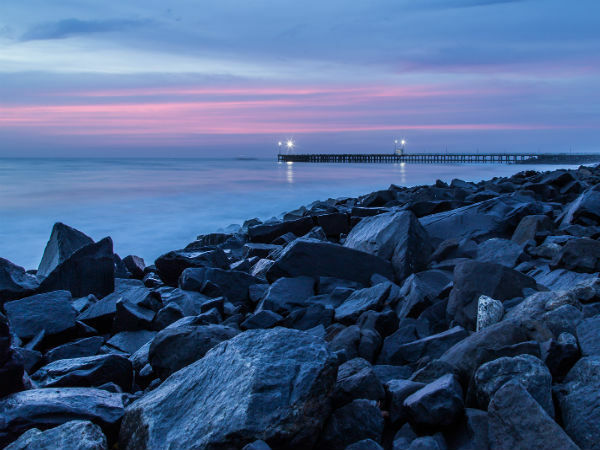 Pondicherry is a place which has its doors wide open to almost everything under sun for one to explore; lets begin with rich history, beaches, cheap places to stay, amazing food, temples, churches and much more. Most of us who visit Pondi stick to its beaches, Aurobindo Ashram and other places which appear in the itinerary of most package tours. But there is more joy when it comes to walking through the streets of the White Town, on the rocks of the Promenade Beach, etc. all by yourself and not sticking to a prepared itinerary. Well if you are on the look for something out of the box, have a look at the five ways through which one can enjoy the beautiful Indian French colony. On the look for souvenirs from your Pondicherry trip? Well, if so, then without second thoughts head straight to the The Paper Factory here and lay your hands on some handmade stationery, accessories, etc. The Paper Factory is run by the Aurobindo Ashram which was started with the aim of providing employment opportunities to the local people. The proceedings which are received from the sales all contribute to the development of the Ashram. On the lookout for a peaceful place to visit? If so, head to the Aurbindo Ashram which is an absolutely haven for those who come looking for peace and tranquility. The ashram building is pretty easy to identify and is one amongst the major attractions for those visiting Pondi. The ashram houses the tombs of Sri Aurobindo and the Mother along with halls which throw light on the life of Sri Aurobindo and the Mother and the growth of the ashram. Love the sea breeze? Well, then head to one of the beaches found in the town. Amongst the best ones, are the Promenade Beach, Paradise Beach and Serenity Beach. The Promenade and Serenity beaches have rocks laid on their shores; one can walk on them as well as sit on them and enjoy the cool sea breeze. One could also start counting the waves. Doing justice to its roots, Pondicherry is filled with bakeries and patisseries which serve you some delicious desserts. Stroll into the Bakers Street to have a dash of the authentic French cuisine. The place is a very popular joint amongst the local residents. Hot chocolate, the various varieties of bread and wines can be found in the French colony of India. One of the first things which would strike you about Pondicherry is its architecture. The yellow walls, iron windows, the shurbs and flower pots are characteristics of most of the buildings in the area. Some of the notable structures here are the French Consulate, Maison De Police, Lycee Francais along with several other structures, which stand tall without any names, which one would pass by while walking through the town.